Is written by Ekanem Hines, Co- Directed by Andrea Cork & Pam Smith. "SUTIC?" 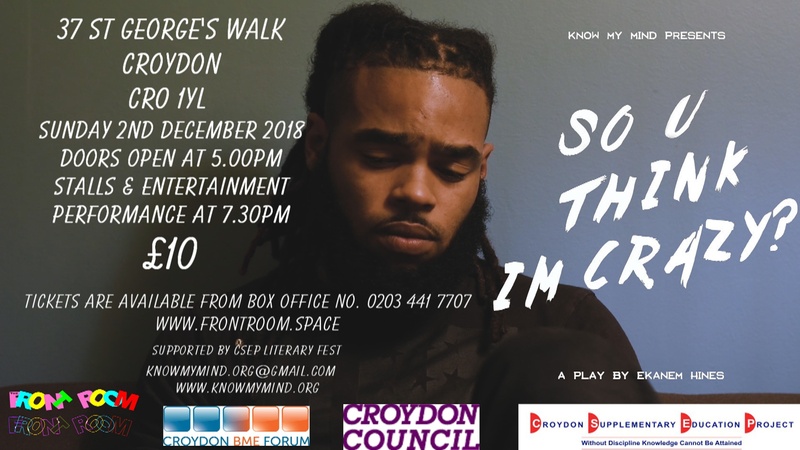 is a hard-hitting play that exposes the mental health system in the UK today from the perspective of a young service user. Audiences are taken on a journey from the streets of London to a secure wing of a psychiatric unit showing the reality behind closed doors many service users face in the system. 8.55PM- 9.40PM Q&A's session with professional practitioners. COME AND SUPPORT THIS DYNAMIC COMMUNITY EVENING.